eXXpedition is a series of all women sea voyages to make the unseen seen, from the toxics in our bodies to the toxics in our seas. On the 16th of November 2014 eXXpedition, led by Skipper Emily Penn, launched the first mission with a crew of 14 women setting sail across the Atlantic Ocean in search of answers relating to the health of our environment and to the health of our bodies. The crew were made up of female scientists, biologists, film makers, activists, psychologists, artists and others with the aim of exploring the issue of plastics, chemicals, endocrine disrupters and carcinogens in our global and personal environments that can cause disease. On their journey, the women collected samples of some of the 22.5billion tonnes of waste that finds its way in to oceans annually, 275million tonnes of which is plastic. 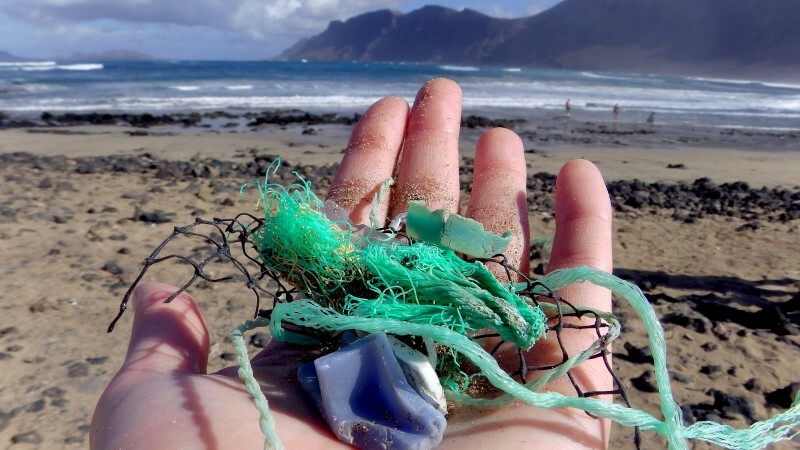 The crew sailed from Lanzarote to The Caribbean collecting samples from the ocean to assess plastics and pollutants, and then analysing these samples in wider studies which investigate the impacts of toxics and plastic pollution on the health of humans and the ecosystems they inhabit. Aboard the specially designed 72 foot Sea Dragon, the women tested samples and found that plastics were often a similar size to biota, an organism eaten by fish, meaning that fish easily ingest plastic, a poison, without being able to differentiate it from biota. While testing is ongoing, there have been numerous studies which have found that fish that had ingested these small particles were prone to issues with their reproductive organs, in the growth patterns and in their developmental health. The crew hypothesised that humans who then ingest these fish will be prone to similar problems and indeed the World Health Organisation warns that Endocrine Disrupting Chemicals (EDC’s) – pesticides, additives, and contaminants in food and personal care products in humans can increase the incidence of breast cancer, and have adverse effects on reproductive and developmental health in humans. The crew also took blood samples before their journey and found 29 of 35 key indicator dangerous chemicals from toxic waste in their systems. The eXXpedition crew aim to engage women in scientific narratives relating to the consumer choices they make and highlight the need for vigilance in the way we dispose of waste and recycle plastics and remind us to be extremely conscious of the chemicals we ingest in our systems as a result of plastics and toxics in the food we eat and the products we use. They believe that society, policy and industry must all contribute to fixing the problems of plastics leakage in our oceans. Consumers must make informed choices about recycling plastics and choosing recycled plastic products as opposed to virgin plastics. Governments must expedite sensible, progressive legislation with regard to the use of petrochemicals, landfill, waste management and recycling. Businesses and corporations must make astute choices, taking in to consideration environmental consequences, when executing their operational strategies. At Re-Pal, we want to be part of the solution to the plastics problem. We were lucky enough to host eXXpedition Skipper Emily Penn at our Bali offices and take her on a tour of our 100% recycled scrap waste plastic pallet production facility. We are extremely proud of the work we are doing to reduce plastic waste in society and are excited by the opportunity to work with Emily on her quest to improve the health of people and ecosystems around the world. We wish the eXXpedition crew all the very best of luck on their future journeys as they continue to save the world one voyage at a time!